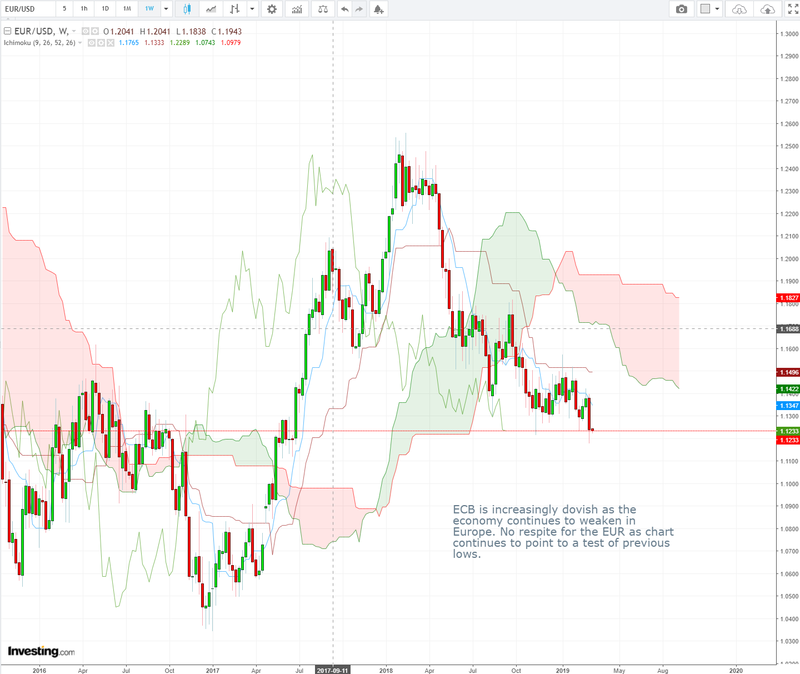 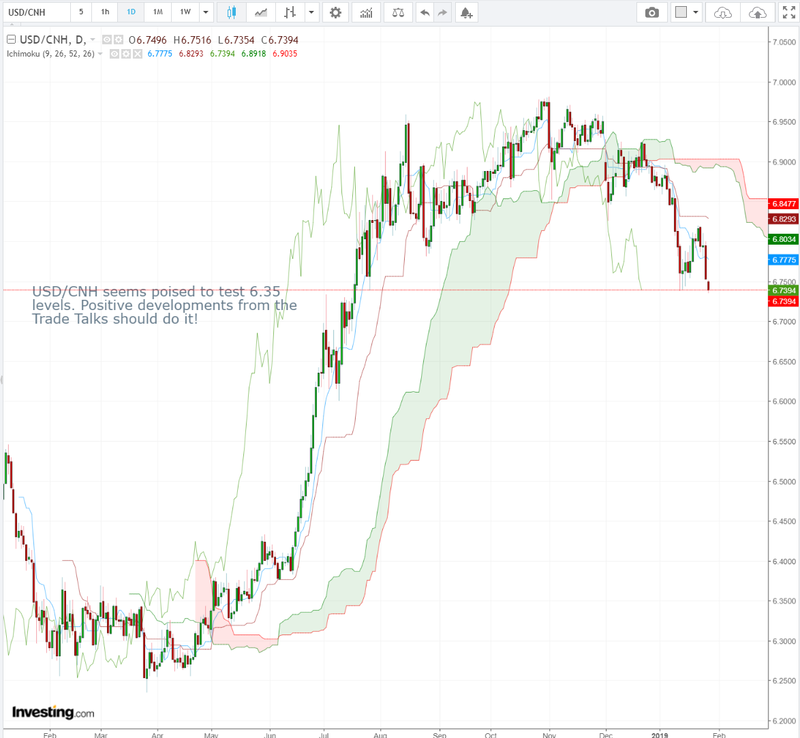 USD/CNH seems poised to test 6.35 levels. 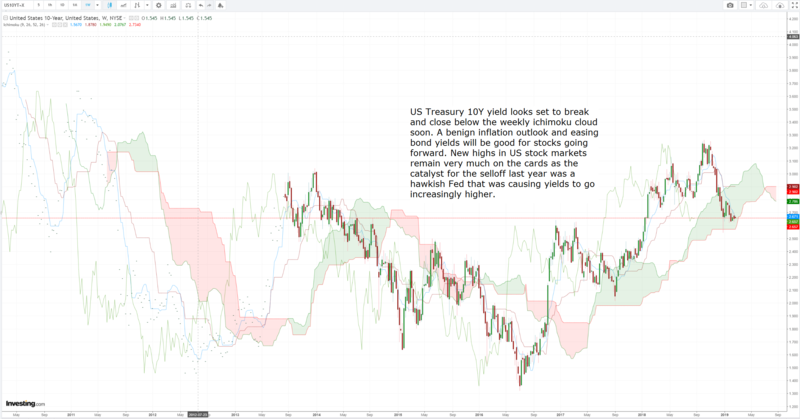 Positive developments from the trade talks should do it! 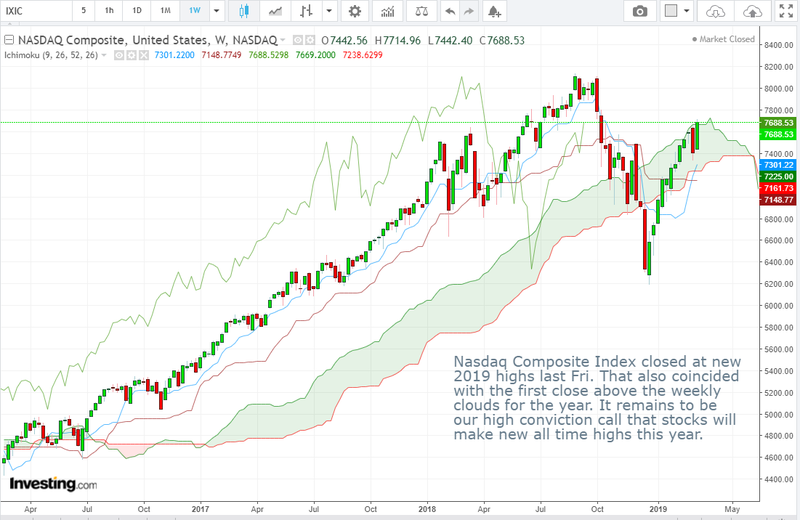 Trade Opportunity: With widespread of fears of an impending recession and calls for a bear market coming into 2019, the market is generally under-invested. 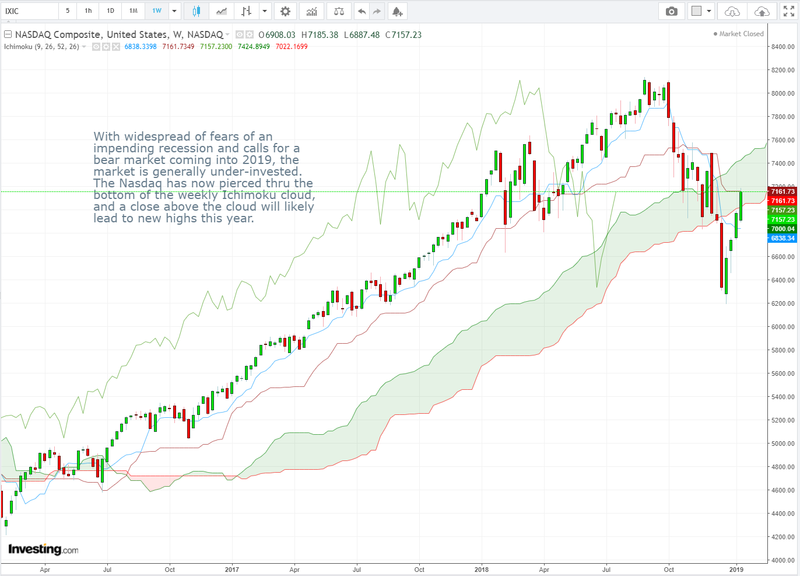 With widespread of fears of an impending recession and calls for a bear market coming into 2019, the market is generally under-invested. 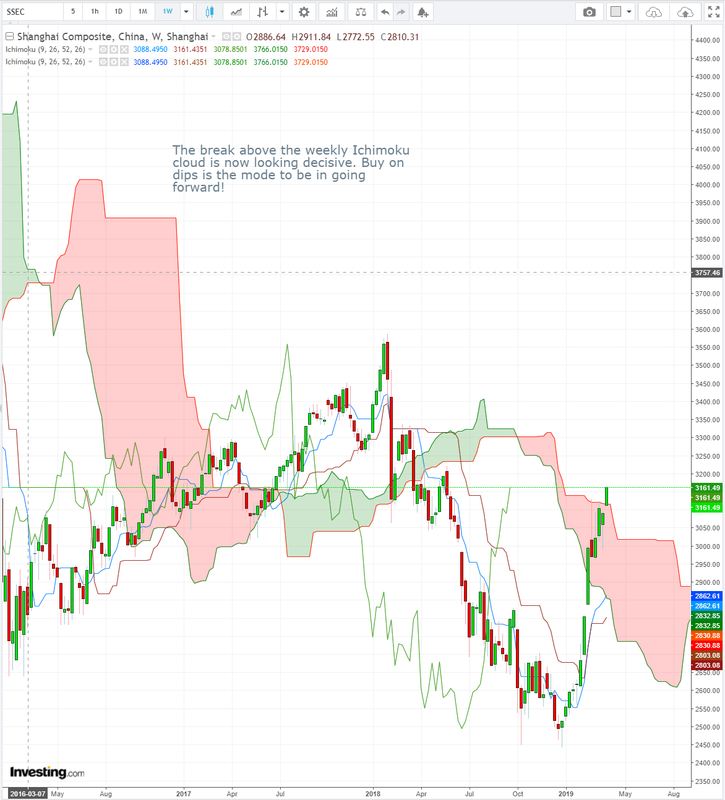 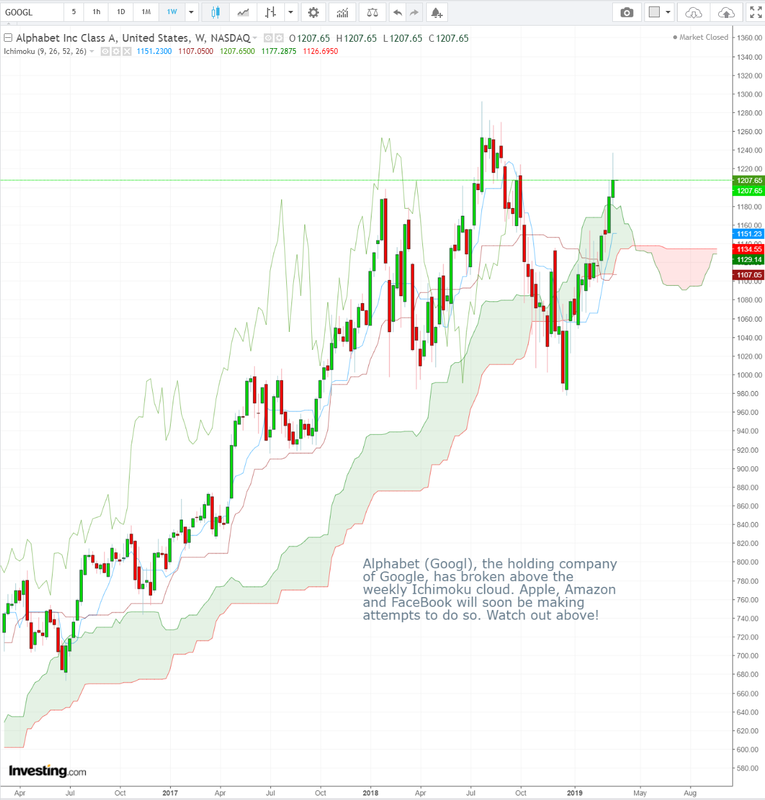 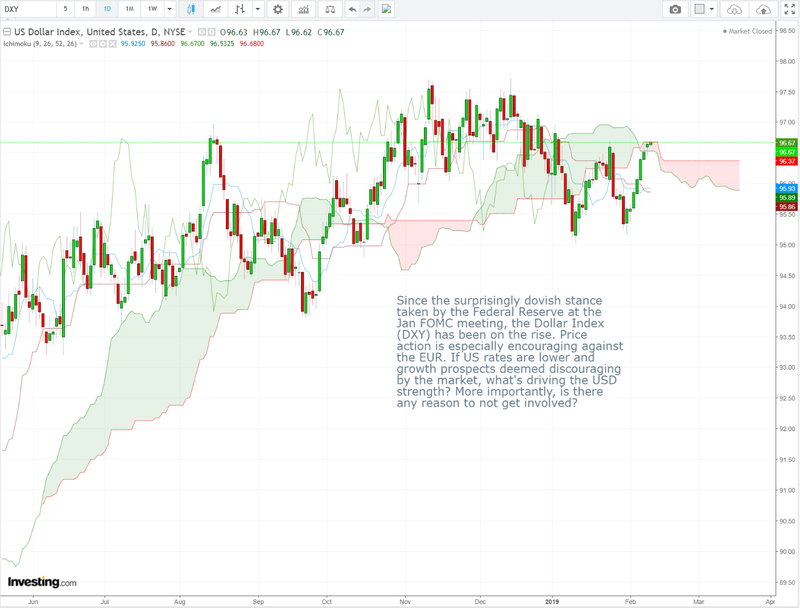 The Nasdaq has now pierced through the bottom of the weekly ichimoku cloud and a close above the cloud will likely lead to new highs this year.